Ribbon cutting with Mayor Wood was a success! 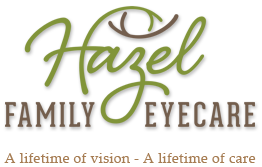 Located at Coleman Village shopping center in Roswell, Hazel Family Eyecare provides optometry services to people of all ages in a welcoming, state of the art environment. Please follow us on facebook for news, promotions and updates!